Welcome aboard the brand-new Ventus Australis, scheduled for her inaugural voyage in January 2018. Ventus Australis – Latin for "southern wind" – is a newly-build, 210-passenger, state-of-the-art expedition vessel specifically designed for sailing the southern fjords of Tierra del Fuego. Length, draft, engine power provide the maneuverability necessary to navigate the narrow fjords and channels where other ships cannot venture while providing the safety, comfort and amenities desired by adventurous travelers who prefer to travel in style. The Stella Australis, her sister ship, is equally at home in these waters, with all the same amenities and features that provide a comfortable and luxurious cruise experience. Stella Australis will continue to operate 3-night cruises from Ushuaia to Punta Arenas and 4-night cruises from Punta Arenas to Ushuaia through the 2017-2018 season. As of September 2018, the Stella, along with the Ventus, will be operating 4-night cruises in both directions. So what makes an Australis cruise special? Location, location, location…all while based on a luxury vessel. The Stella and Ventus Australis are the only ships that sail these routes and reach these remote glaciers, bays, fjords and channels. 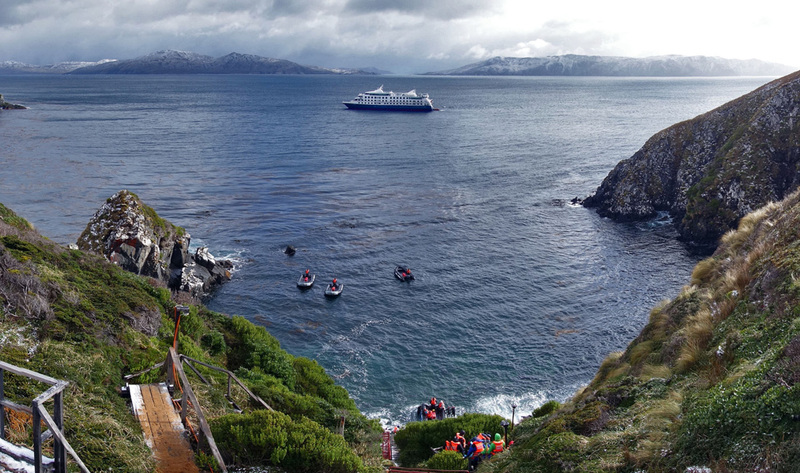 Australis is the only cruise operator with permission to land at Cape Horn and Wulaia Bay. Ship amenities include luxury cabins with windows (no portholes on either Australis ship), spacious dining room, sky bar, two lounges with panoramic windows. Cruise prices include breakfast, lunch and dinner, open bar, daily shore excursions (with whisky and hot chocolate), all onboard activities. 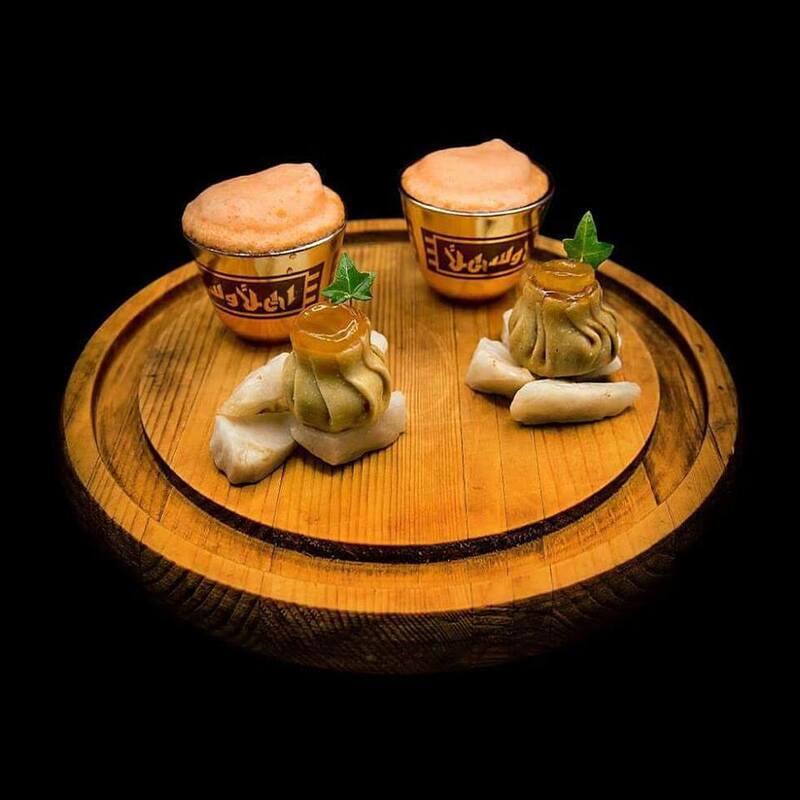 Gourmet meals include extensive buffet breakfasts and lunches, four-course dinners that blend continental and Chilean cuisine. During the course of the cruise there will be interesting talks on the wildlife, history and geography of this legendary region given by the Mare Australis Expedition Group. The talks will take place both on board (with audio-visual support) and on land. The subjects range from geography and navigational route, to glaciology, flora and fauna, and the native people of the areas. The routes between Ushuaia and Punta Arenas sail through deep fjords and across broad bays, beneath snow-capped mountains and majestic glaciers. The cruises follow much of the same route taken in the 1830s by the HMS Beagle as described by Charles Darwin: through the Beagle Channel, across Nassau Bay to Cape Horn National Park, around the western end of Tierra del Fuego to Pia Fjord, across Agostini Sound, through the Strait of Magellan to Punta Arenas. The 4-night "Fjords of Tierra del Fuego" cruise departs Punta Arenas with stops in Tuckers Islets and Ainsworth Bay, Pia Glacier, through Glacier Alley, Wulaia Bay and Cape Horn, ending in Ushuaia, Argentina. 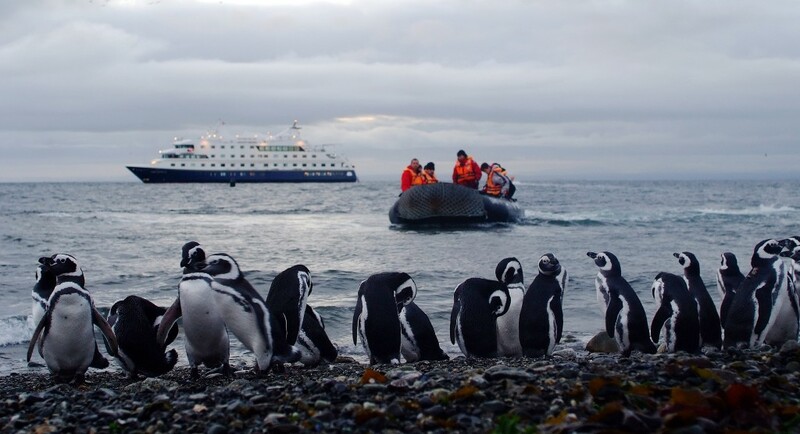 The 4-night "Patagonian Explorer" cruise from Ushuaia to Punta Arenas follows a similar route in reverse, but includes shore excursions at Garibaldi Glacier and Magdalena Island, home to a Magellanic penguin colony from October through March. This cruise includes a walk beneath the Aguila Glacier and a Zodiac excursion that approaches the Condor Glacier, where you may spot Andean Condors. 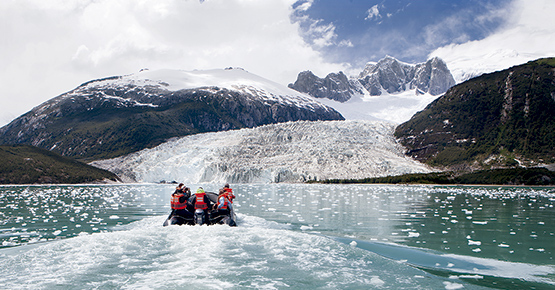 The 3-night "Discover Patagonia" cruise from Ushuaia to Punta Arenas stops at Cape Horn on Day 2, the Aguila Glacier on Day 3, Magdalena Island on Day 4 before landing in Punta Arenas. 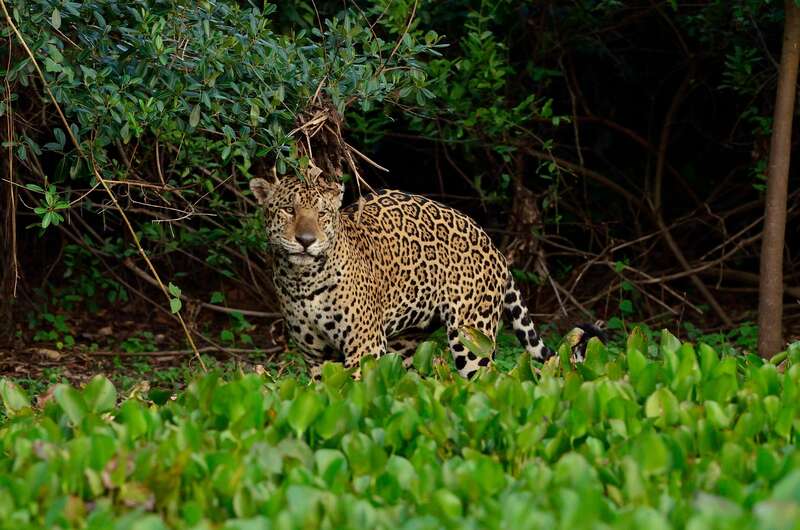 Shore excursions focus on the flora, fauna and geology of the area. 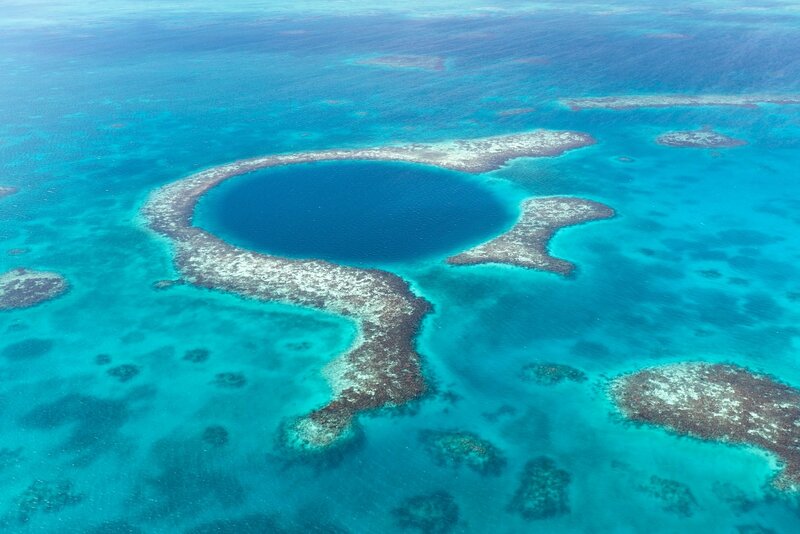 Excursions by Zodiac and on foot are led by teams of experts trained in various disciplines. The mythical Cape Horn, an almost vertical 425 meter-high cliff, was discovered in 1616. For many years it was an important navigation route for sailboats sailing between the Pacific and Atlantic Oceans. 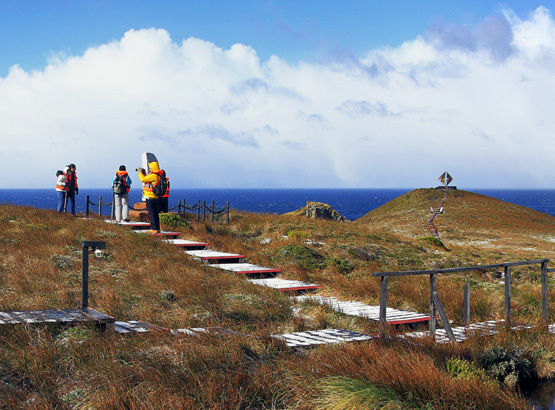 Known as the end of the world, Cape Horn was declared a Biosphere Reserve by UNESCO in June, 2005. Weather permitting, a stop is made at Cape Horn where you may go ashore and explore the island. A historical site which was one of the largest settlements of the original canoeing inhabitants of the region, the Yamana. Charles Darwin went ashore in this place on January 23rd, 1833 during his voyage onboard the HMS Beagle. 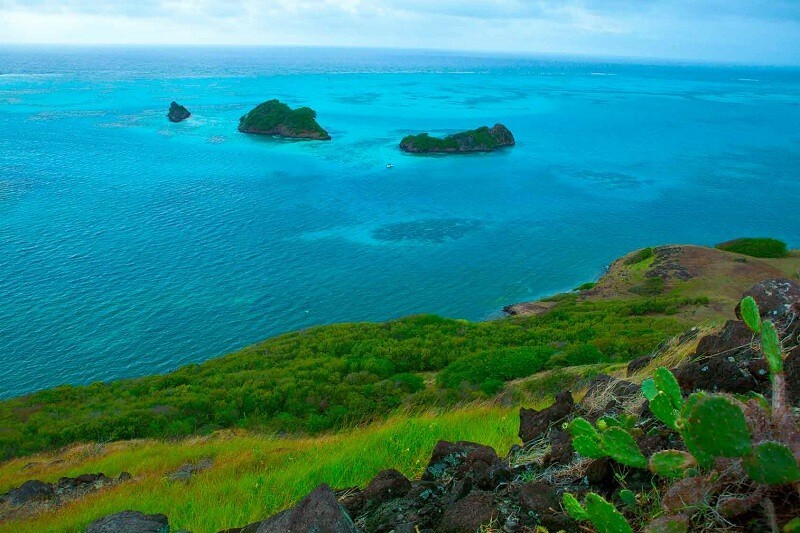 Wulaia Bay travel also offers a visual spectacle of great beauty because of its vegetation and geography. 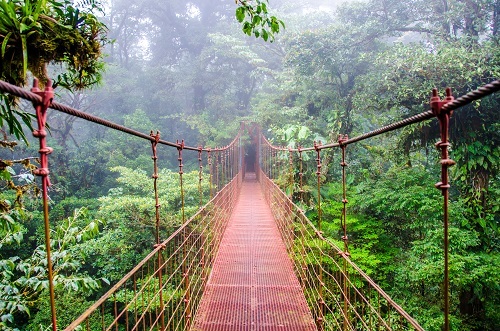 During a guided hike you will walk through the Magellanic forest to a lookout point. The forest is home to native trees such as lengas, coigües, canelos. 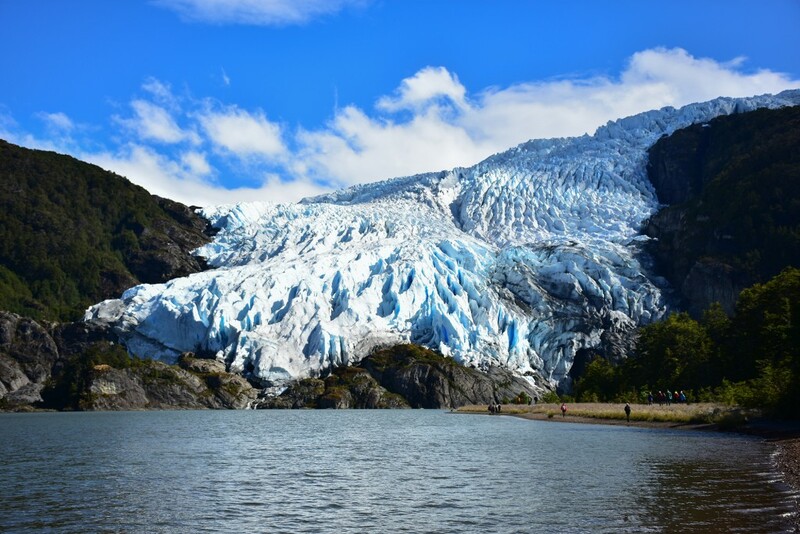 One of the most spectacular spots in Patagonia, Ainsworth Bay is a lengthy fjord surrounded by pristine sub-polar forest and crowned by Marinelli Glacier, which flows down from the Darwin Ice Field. Protected within the confines of Alberto de Agostini National Park, the bay provides a habitat for southern elephant seals and many different bird species. Trails lead to streams and waterfalls, moss-covered rock faces, peat bogs, beaver habitats and along the crest of a glacial moraine. This excursion reaches a lookout point offering excellent views of the surrounding mountain range where this impressive glacier originates. 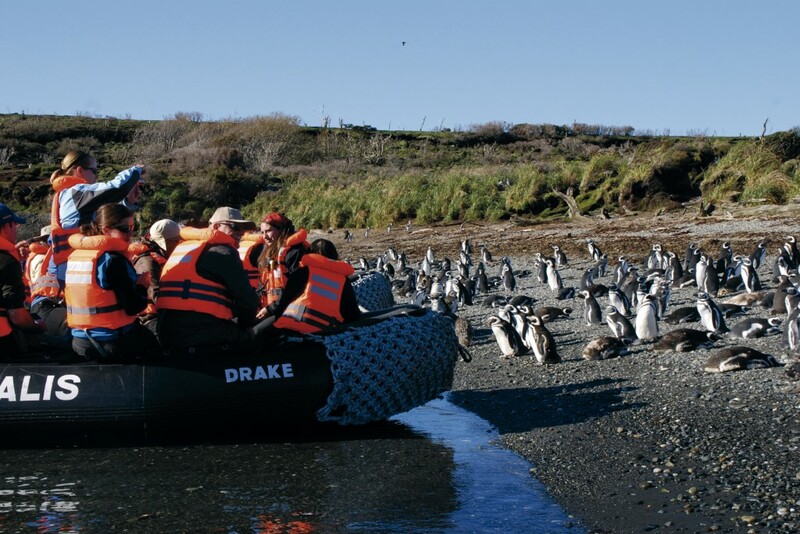 Here you will observe Magellanic penguins and cormorants from the Zodiac boats. 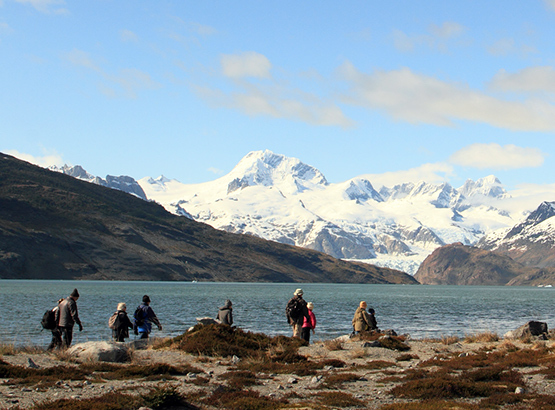 An easy walk along the shore of a lagoon surrounded by mountains to the base of the glacier. 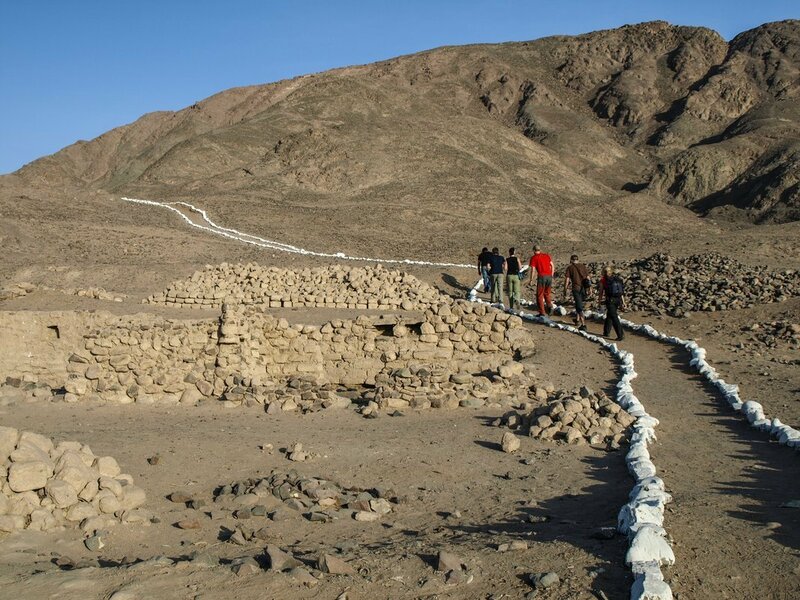 Ancient sailors and explorers made stops here for supplies. This island is home to an immense colony of Magellanic penguins, which you will see on the walk to the lighthouse, which currently guides ships on their way through the Strait of Magellan. Wildlife – humpback whales, dolphins, elephant seals, leopard seals, sea lions, albatross, Caracara falcons, Andean Condor, the Magellanic and majestic King penguins. Visit Magellanic Penguin colonies at Tuckers Islets and Magdalena Island. Glaciers – Glacier Alley, Pia Glacier, Garibaldi Glacier, Condor Glacier, Aguila Glacier. Spectacular views of the Darwin mountain range, snow-capped peaks of Karukinka Natural Park, sub Antarctic forest, glacial waterfalls. Chile - before embarking or after disembarking in Punta Arenas spend a few days at an ecolodge in Torres del Paine National Park. Or set off on our 6-day Dientes Circuit on Navarino Island. Argentina - spend a few days in Ushuaia before or after your cruise. Explore Tierra del Fuego National Park, visit historic Harberton Ranch, paddle to Gable Island and Martillo Island (home to a Magellanic penguin colony from December into February), travel the backroads by 4X4 to Fagnano and Garibaldi lakes, ride the "End of the World" train, wander the streets of Ushuaia. 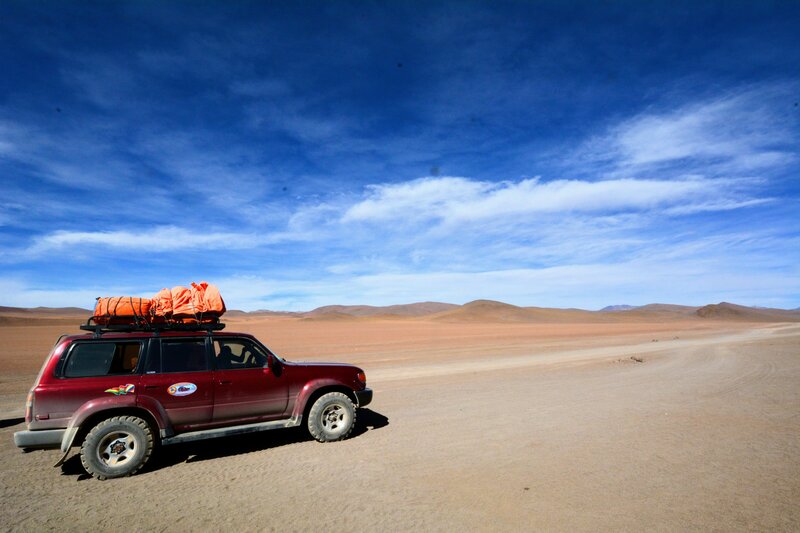 Book your complete Chile and Argentina trip with Lost World Adventures. 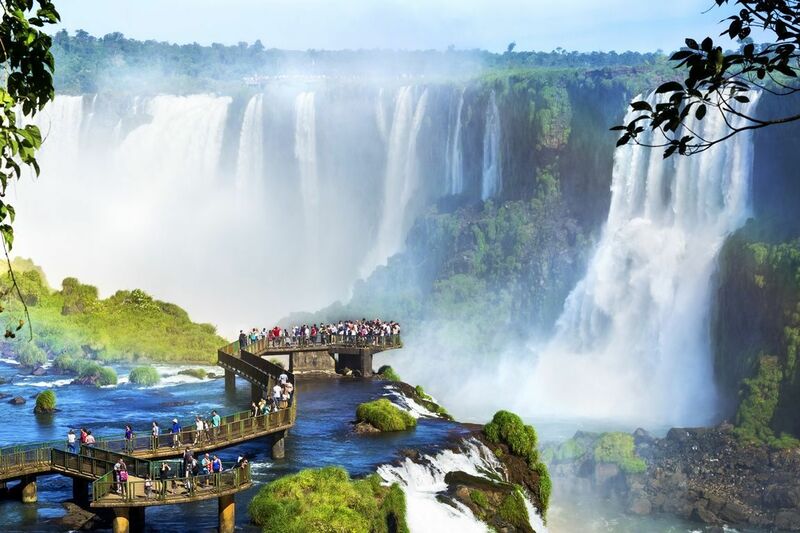 Our customized itineraries will combine the Australis cruise of your choice with hotels, tours and excursions, domestic flights into a seamless adventure trip. 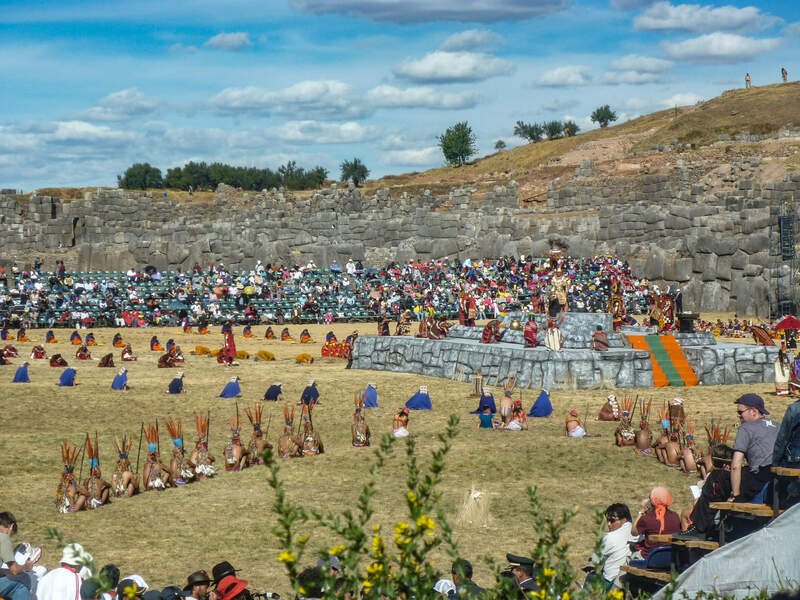 Speak with a Lost World consultant who will offer first-hand experience and help design your ideal trip.